Detail : George's eighth solo single and first for his own "Dark Horse" label. This track was released simultaneously with the "Thirty Three and 1/3" album. It is definately a very pointed statement against George`s "My Sweet Lord/He`s So Fine" court case. The case, which had been going on for such a long time, had made George scared of writing anymore songs in case he was accused of "copying" again. 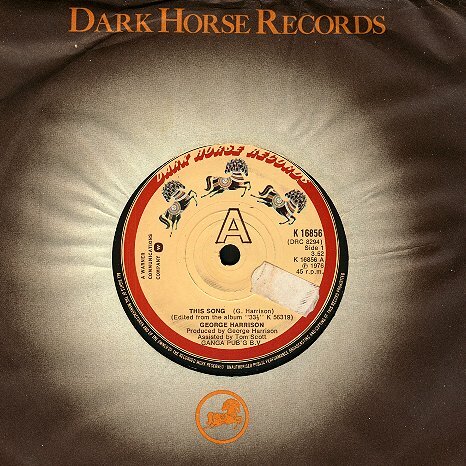 For the first time we see (above) the Dark Horse label, plus a "K" catalogue number as used by WEA for all its distributed companies singles.